The essential guide to the Colorado outdoors community, covering travel, sports, culture, news, events, and destinations. Throughout 2018, I was a monthly columnist for OutThere Colorado. Introducing The Colorado Footprint, a monthly column that follows stories about Colorado’s environment and the solutions-based projects, people, and ideas bettering the Centennial State. OutThere Colorado is driven by our deep respect for our environment, and our passionate commitment to sustainable tourism and conservation. We believe in the right for everyone – from all backgrounds and cultures – to enjoy our natural world, and we believe that we must all do so responsibly. This column aims to highlight those engaged in the vital work of protecting and preserving Colorado’s environment. The Colorado Footprint: How Citizen Scientists are Keeping Colorado Waterways Healthy. How Women in the Outdoor Industry are Empowering the Environmentalist Movement. 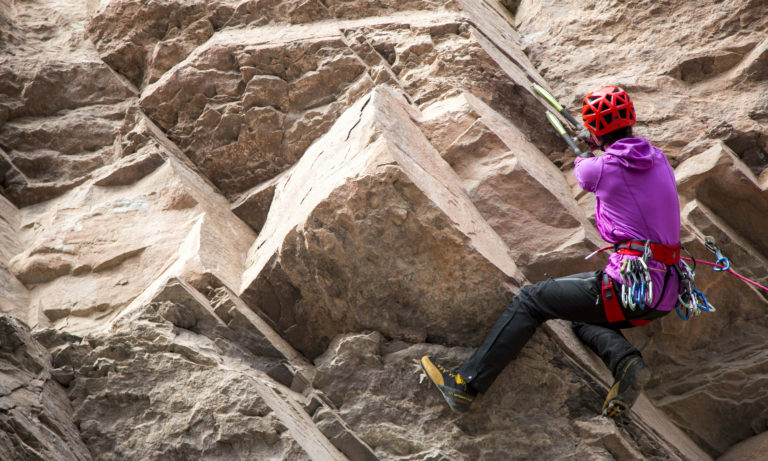 Girls That Shred: 6 Outdoor Women's Activity Outdoor Clinics in Colorado. Climbers Leave Less Behind with Boulder-Based Climbing Addicts' Chalk. How to get into trail running. A guide. How to get into yoga. A guide. The Colorado Footprint: Outdoor Industry Steps Up for Climate Change Solutions. Getaway Guide: Spend a Weekend in Berthoud. How to get into road biking. A guide. Top Four Picnic Spots Along the Front Range.